How much is Dan Levy Worth? 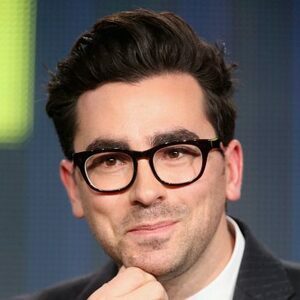 Dan Levy net worth and salary: Dan Levy is a Canadian actor, writer, and producer who has a net worth of $5 million. Dan Levy was born in Toronto, Ontario, Canada in August 1983. 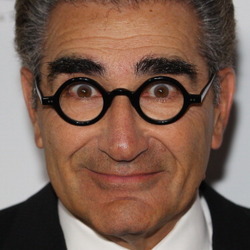 He is the son of the actor and comedian Eugene Levy. He is best known for co-creating, with his father, the television series Schitt's Creek. Levy has starred as David Rose in the series since 2015 and also serves as executive producer and writer for the show which also stars his father. As an actor Dan Levy has also appeared in the films Cyberstalker in 2012, Admission in 2013, and Stage Fright in 2014. In 2016 he won Canadian Screen Awards for Best Comedy Series and Best Writing in a Comedy Program or Series for Schitt's Creek. His sister Sarah Levy also stars in Schitt's Creek. Dan Levy identifies as homosexual. He came out at the age of 19. He currently splits his time between Toronto and Los Angeles.